In the endless components arms race of the Information Age, cheaper, faster, and smaller are the mantras that perk up the customers' ears and line the tech giants pockets with cash. 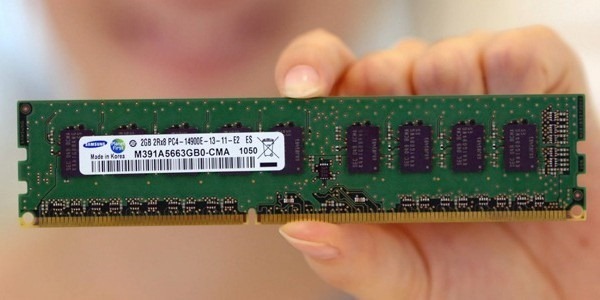 The latest innovation in one of the key areas of electronic components is DDR4 memory. The spec is said to reduce power consumption by 20-40% based on a maximum 1.2 volts of power use. 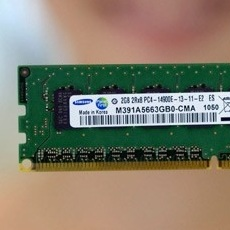 While running at the same bandwidth as its predecessor, DDR3 memory, the new spec will run with up to 40% less power draw. Running at full capacity, which is roughly double the amount of throughput of DDR3 memory, the new RAM will draw the same amount of power. Goes faster and doesn't use more power? Sign me up. Of course, most mobile devices today use what's known as low-power DDR memory (LPDDR). The follow-up to the currently-used spec, which will be known as LPDDR3, will similarly offer around 35-40% power savings, but cost around 40% more to manufacturer. With mobile device manufacturers already settling for thin or non-existent margins on tablets to compete with the iPad, and subsidies being the norm just to get customers interested in some markets, it's incredibly unlikely that manufacturers will opt for the more expensive option. We're still a long ways off from seeing this memory in our devices, as Intel is only planning on using the new memory in its server products by 2014. No word yet on when mobile manufacturers will get the jump on this developing technology, but with numbers like these, it's a question of when, not if.